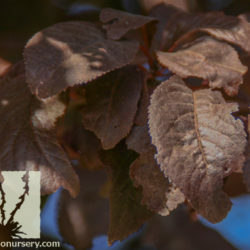 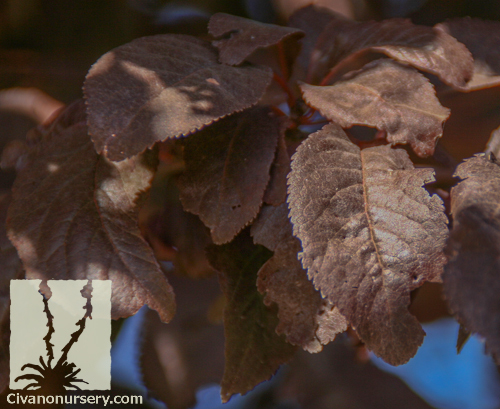 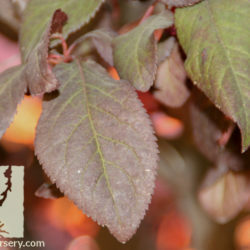 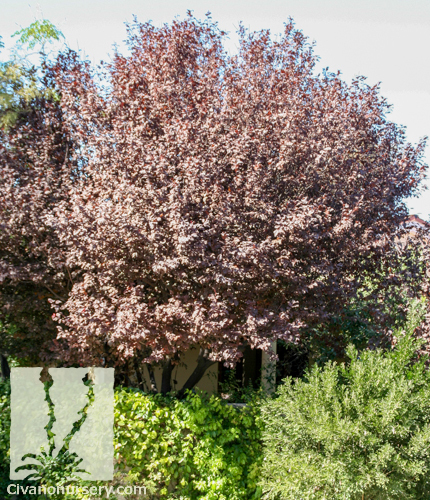 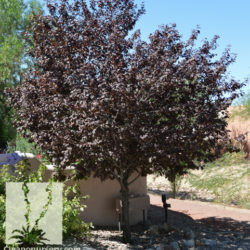 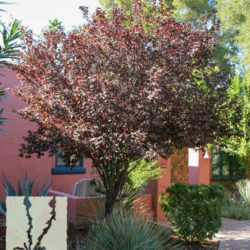 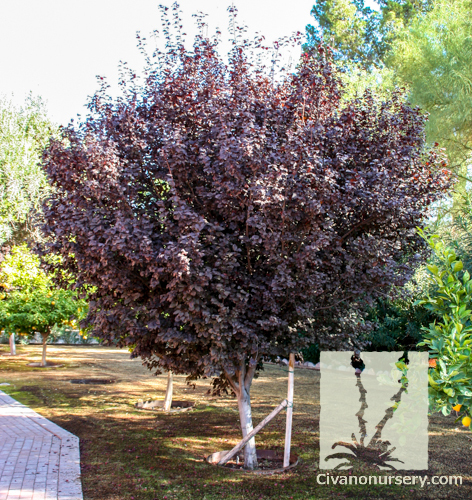 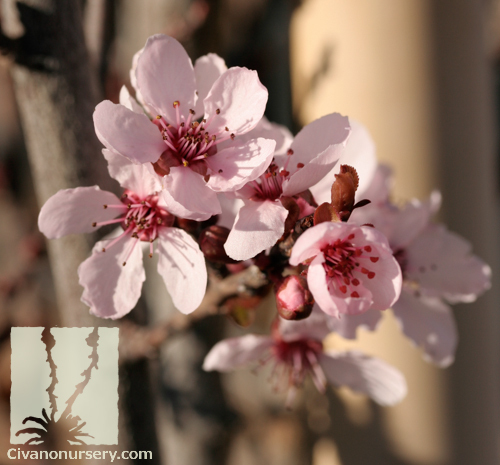 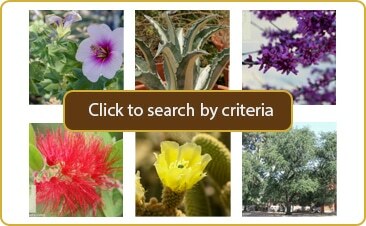 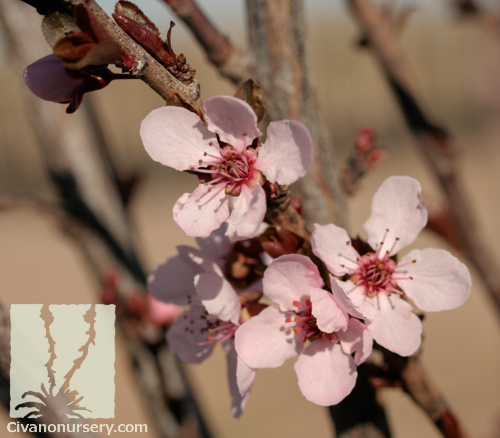 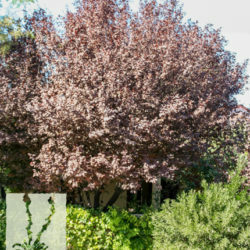 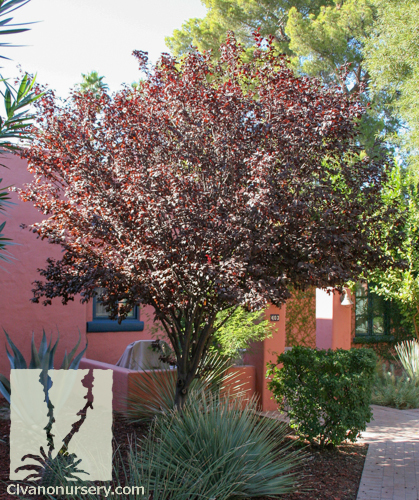 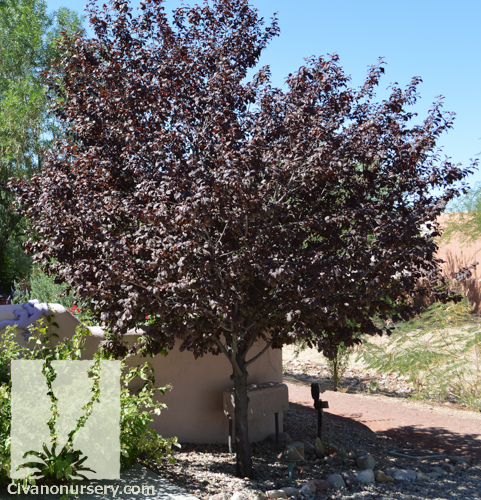 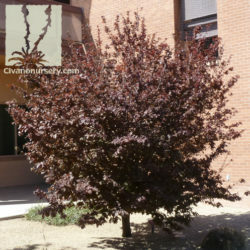 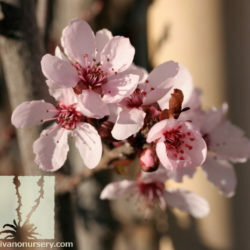 This small, ornamental tree provides Tucson gardens with a burgundy leaf color that is truly unique in our desert setting. 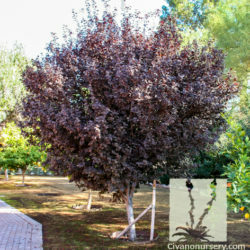 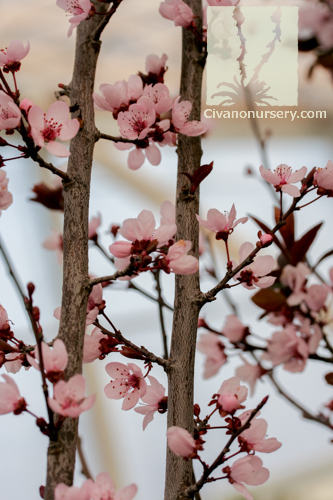 The cultivar ‘Krauter Vesuvius’ is especially recognized among the Flowering Plums for having the darkest foliage, and for producing little to no fruit – a feature that makes this an ideal tree for shading patios and seating areas without creating a sticky mess. 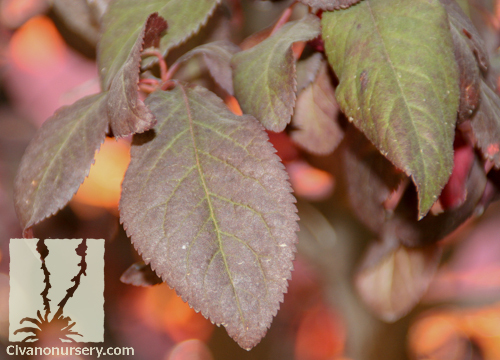 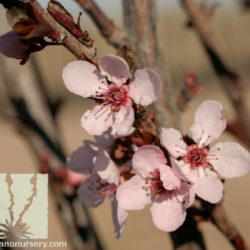 Purple Leaf Plum also provides us with exceptional seasonal interest when its deciduous leaves are absent! 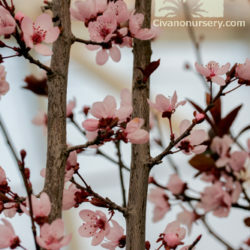 Its upright, symmetrical branching structure adds architectural appeal in the winter, and fragrant light-pink blossoms adorn the otherwise bare branches in early spring. 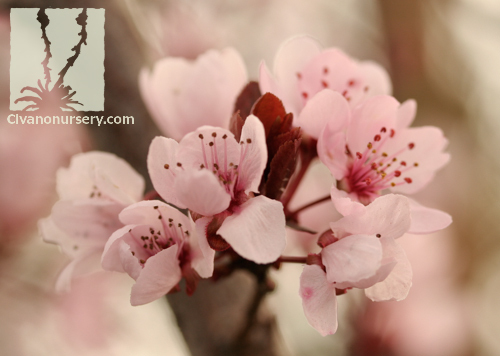 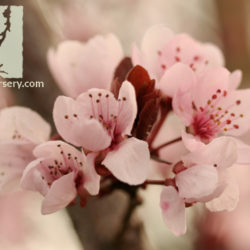 These delicate flowers attract butterflies, and stand out beautifully against the tree’s smooth grey to reddish bark.